The great thing about having a birthday so close to labor day weekend is having the long weekend to spend time with friends and family. 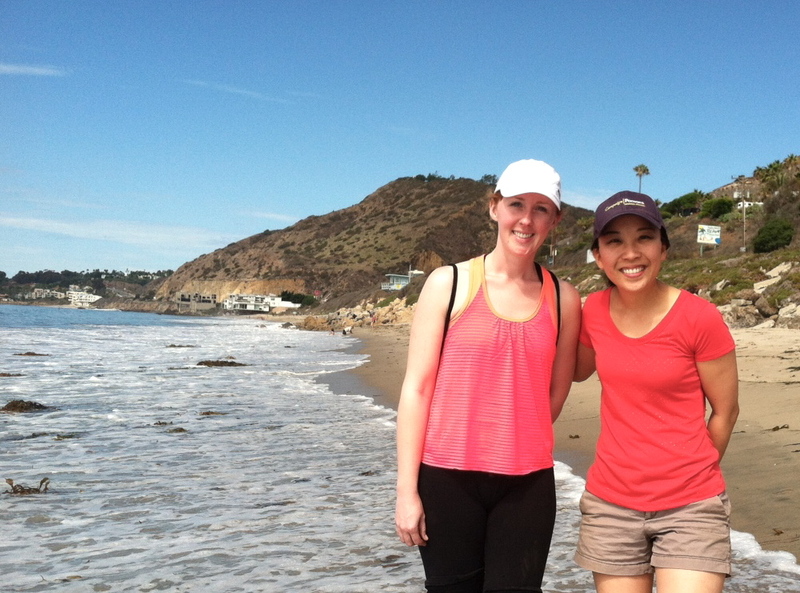 My friend SH and I went hiking in Malibu (Escondido falls) early enough to beat the heat and then dipped our feet into the ocean (felt so good!). Of course the best part was indulging ourselves with brunch at 26 Beach in Venice (anytime there’s ice cream for breakfast, I’m game). 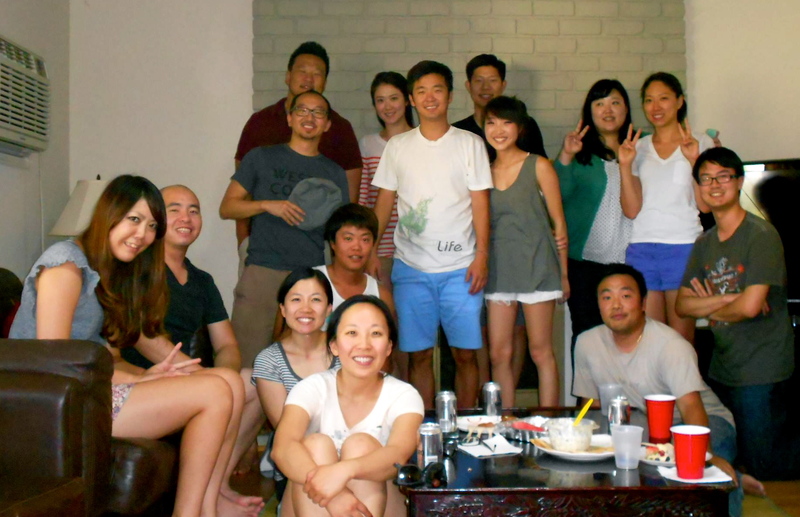 I had friends over for lunch on Monday and grilled teriyaki chicken and they graciously provided appetizers and desserts (snuck in a delicious cake). Ended a fun-filled day with naeng myun (cold Korean buckwheat noodles) at Cho Sun Ok in Buena Park. 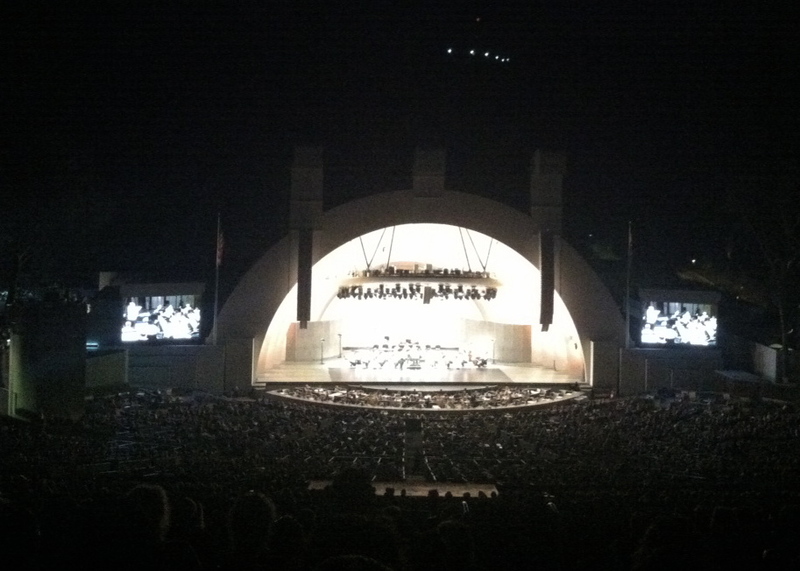 Tuesday night, I took advantage of a groupon deal and enjoyed classical music under the stars and made a new friend/food blogger (check out her delectable blog). 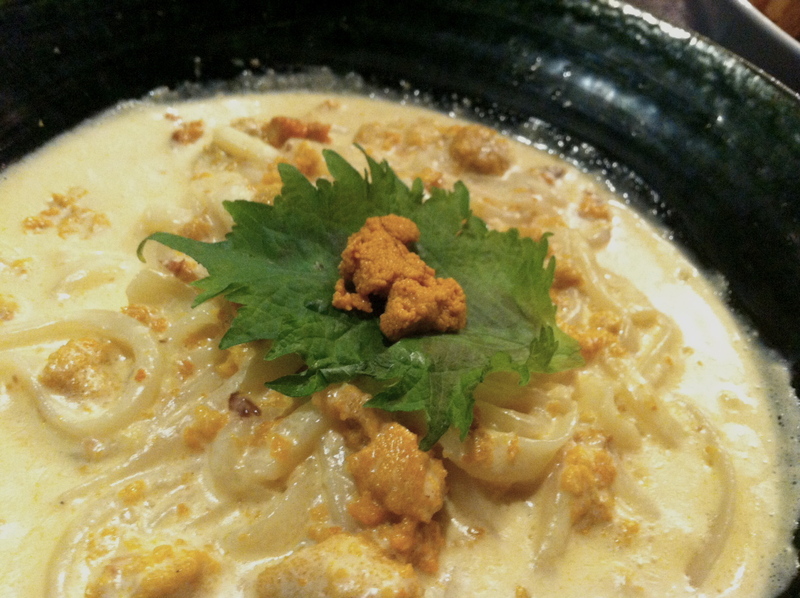 Yesterday, on my actual birthday, my friend Christine of feedmysole treated me to a memorable meal at Marugame Monzo in Little Tokyo where they make dishes with freshly made udon noodles. 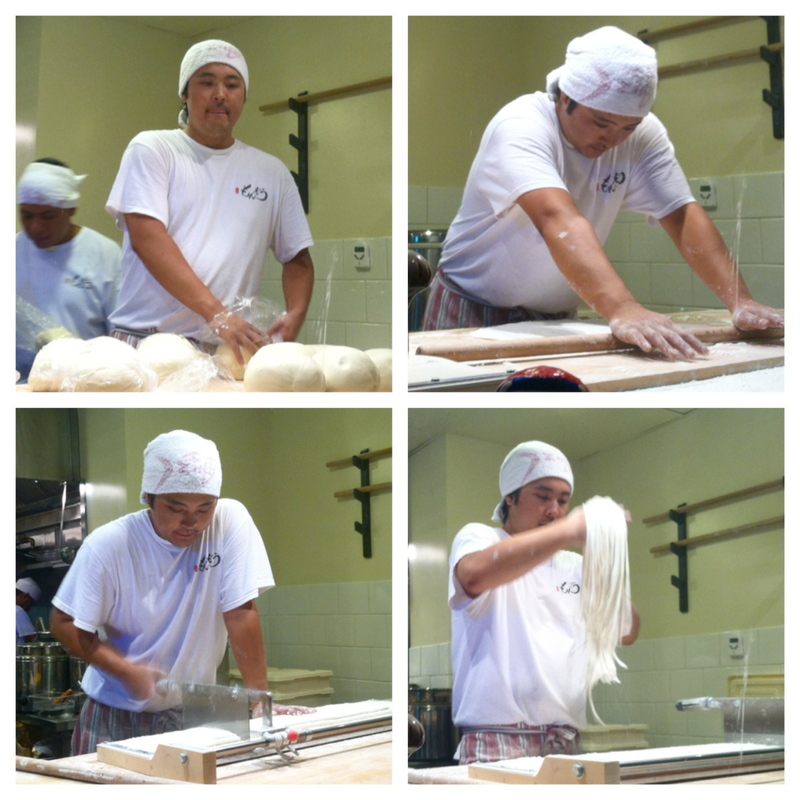 We sat at the bar and watched the noodle master at his craft (love the rolling pin hanging racks) while savoring our braised pork belly and uni cream udon. OMG, what a difference it makes! I can honestly say, I’m still stuffed and more importantly, I am richly blessed. Special thanks to my sister who helped me behind-the-scenes with her servant heart and showered me with extra love. This entry was posted in bloggers, hiking, Korean food, nature, restaurant reviews, summer on September 5, 2013 by honeyandlimes. 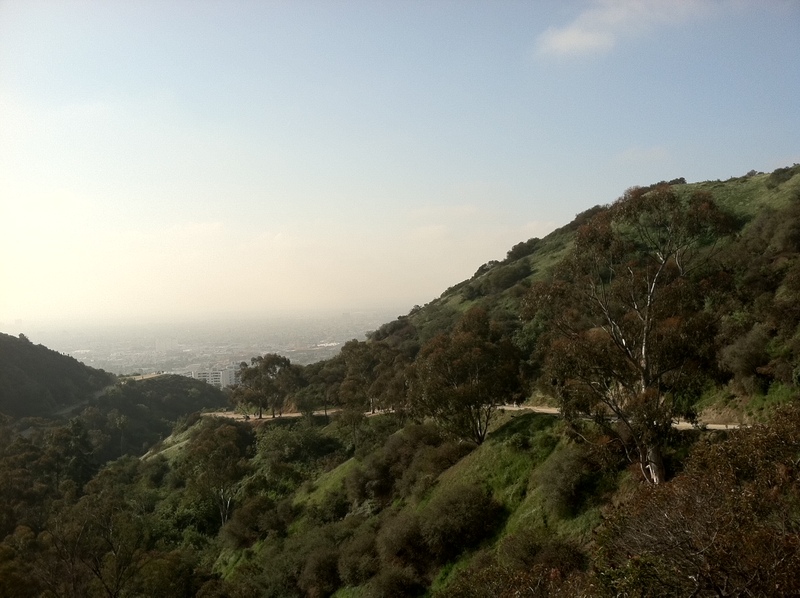 thinking outside the cubicle: hiking! Runyon Canyon Park in the Hollywood area. Great workout, close to the city, finding parking was difficult (but not impossible). 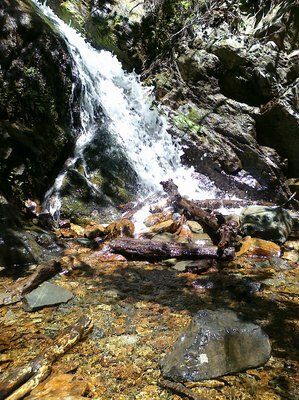 Holy Jim Falls trail in Trabuco Canyon. Beautiful, lush scenery but expect a jumpy ride getting to the dirt road (think Indiana Jones’ ride) to reach the trailhead. 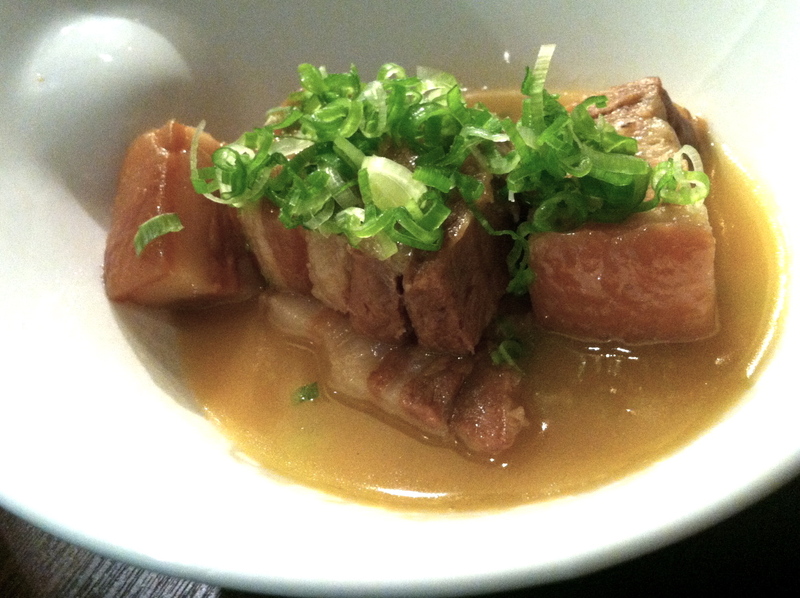 Fukada in Irvine. 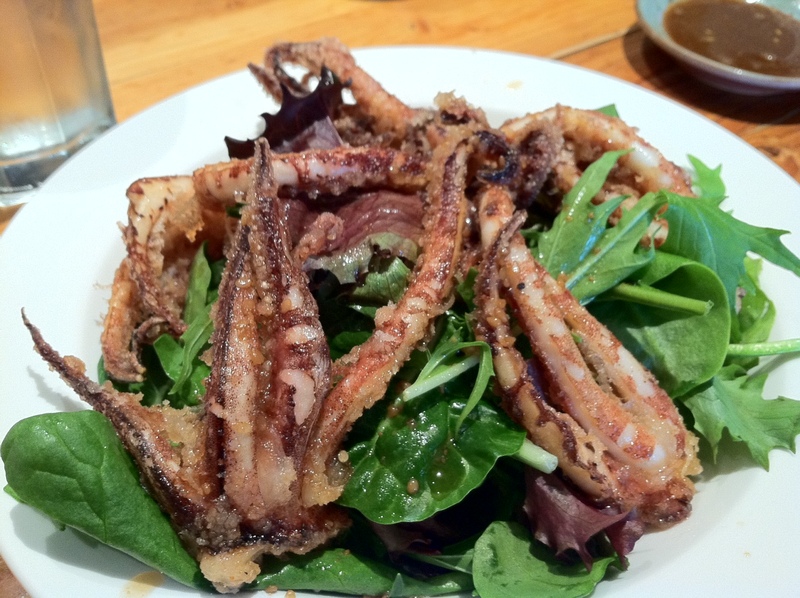 Their fried squid legs were awesome! Try their seafood salad w/seared tuna and salmon combo w/spicy tuna don (get the brown rice). Their ingredients are very high quality at an affordable price (combos are about 11 bucks and with generous portions. well worth the wait time). Capriotti’s in Tustin. 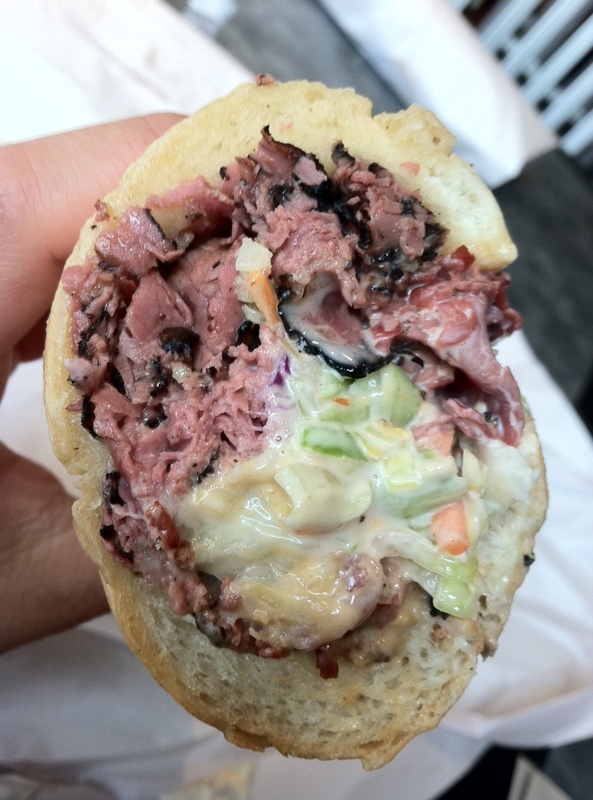 Try their pastrami (has coleslaw in it) or the Bobbie. What do you do to recharge on the weekends? I’ve been itching to hit the beach with the warm weather we’ve been having here in SoCal. It’s starting to feel like summer in April (yay!). Have an awesome week and thanks for checking out my blog. 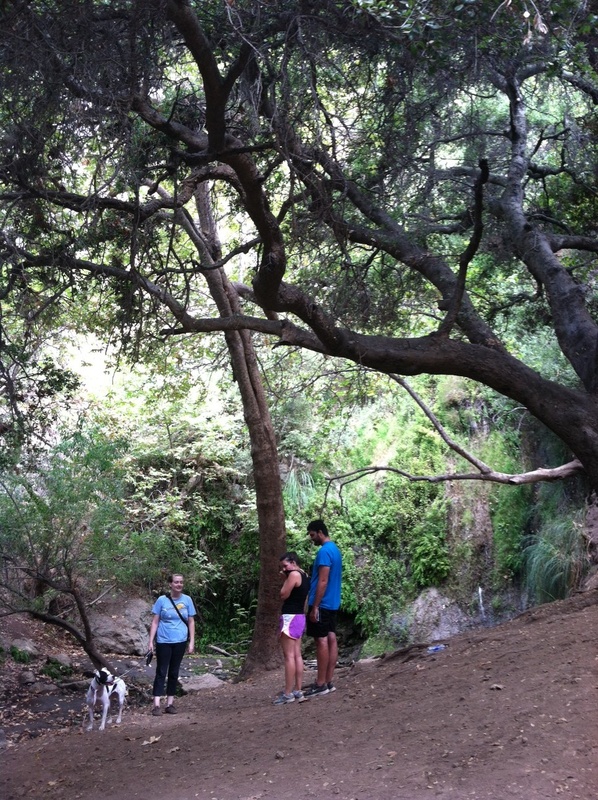 This entry was posted in cheap eats, hiking, nature on April 22, 2013 by honeyandlimes.